Lovely view and nature. Clean and well-equipped apartment. Amazingly beautiful facility, view and atmosphere. Generous and kind host Francesco. Best place I’ve ever stayed on holiday! One the most beautiful places we have ever stayed at. Amazing view, amazing vegetation, amazing host. All the facilities are in perfect condition, including a very nicely equipped kitchen. Highly recommended if you want to have a quiet and comfortable time in Sicily. We loved the quality of the apartments and rooms - beautiful decor, spacious rooms and quality furnishings. The pool was great and breakfast (at additional cost) was good. Antonio cooked us a Sicilian meal on our last evening which was fabulous. We didn’t have a car and taxis were 15-20 euros each way in and out of Cefalu. There are no shops anywhere near by, so you will need to bring any provisions that you want but there is tea and a nespresso type coffee machine in each room - very nice bonus. We had one of the apartments and the kitchen was well equipped. Fabulous place! This is an old monasterie with a lovely view. We staid in the Villa. Superstay that we really recommend to everyone. L'atmosfera che si respira nella villa ha reso indimenticabile e piacevolissimo il nostro soggiorno! Il parco attorno con le piante di limoni, arance, mandarini, il gatto che veniva a bussarci alla porta, sembrava di essere fuori dal mondo.. 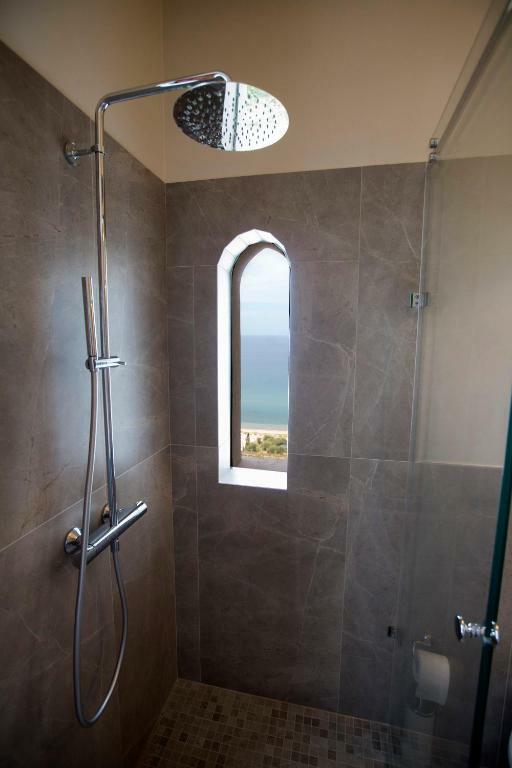 Lock in a great price for Villa Palamara 1868-La Villa - rated 9.2 by recent guests. One of our top picks in SantʼAmbrogio – and a guest favourite. 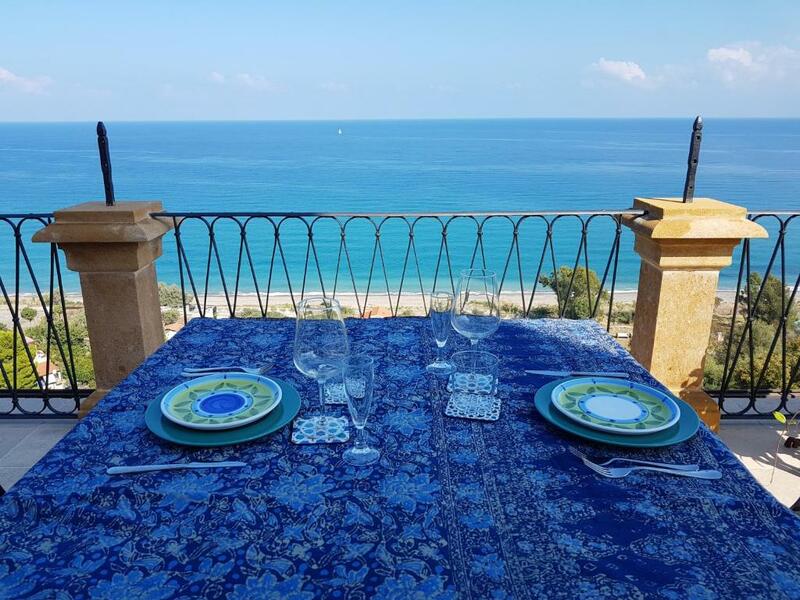 Featuring a garden, Villa Palamara 1868-La Villa is an apartment with period furniture located in Cefalù. The property is 3.1 miles from Cathedral Basilica of Cefalù and features views of the sea. Free WiFi and free private parking are available. There is a seating area, a dining area and a kitchen equipped with a dishwasher. 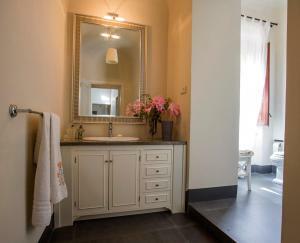 Towels and bed linen are offered at Villa Palamara . Other facilities at Villa Palamara 1868-La Villa include a seasonal outdoor pool. The nearest airport is Falcone-Borsellino Airport, 54.1 miles from Villa Palamara 1868-La Villa. This property also has one of the best-rated locations in SantʼAmbrogio! Guests are happier about it compared to other properties in the area. 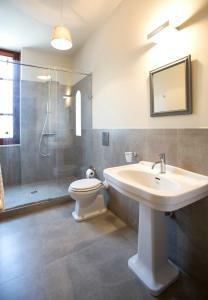 This property is also rated for the best value in SantʼAmbrogio! Guests are getting more for their money when compared to other properties in this city. Villa Palamara 1868-La Villa has been welcoming Booking.com guests since 15 Nov 2016. When would you like to stay at Villa Palamara 1868-La Villa? This holiday home with period furniture has a balcony, toaster and kitchen. The apartment of the Villa, located 5 Km. 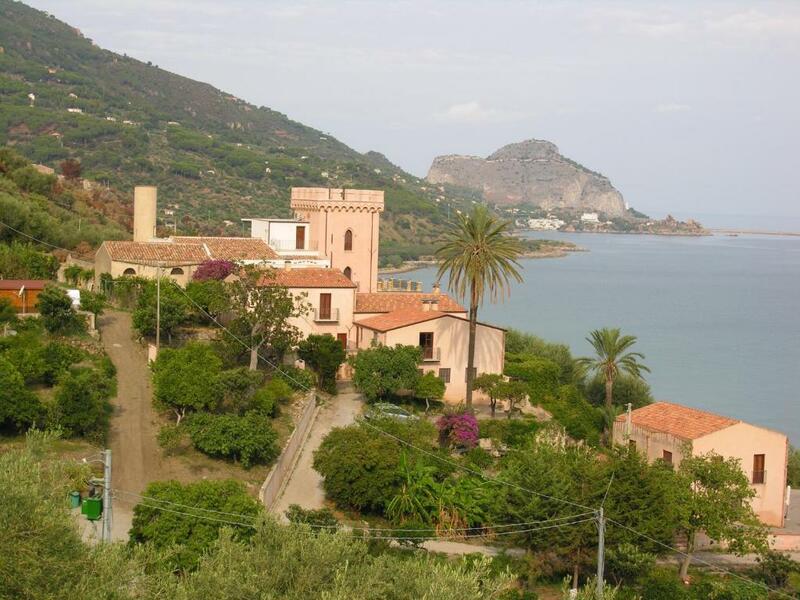 from the center of Cefalù, is the main floor of Villa Palamara, declared of historical and artistic interest. 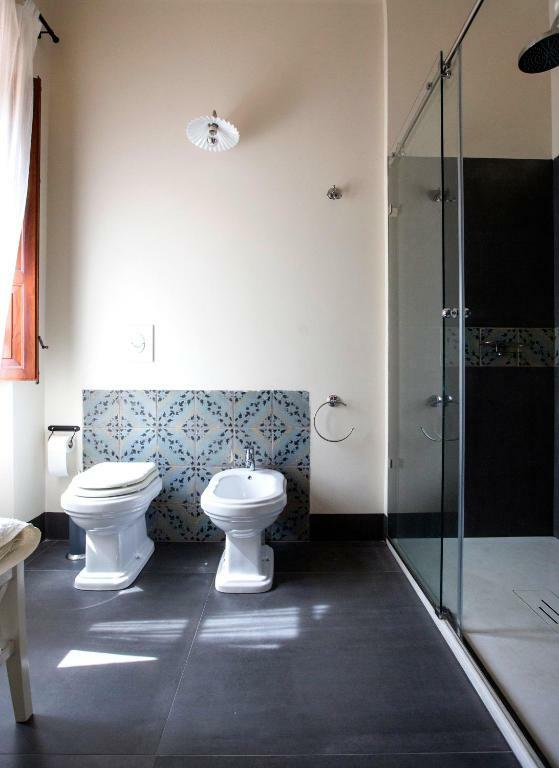 The apartment is divided into two parts by an internal door: "La Torre" and "La Torretta". It is possible to reserve the two portions separately or both. The Superior apartment of 170 sqm. is "La Torre", with a terrace overlooking the sea, living room, kitchen and equipped with everything; from the large terrace of the Villa's apartment you can enjoy a magnificent view of the sea and the Rocca di Cefalù; "the apartment with balcony" of 50 sqm. 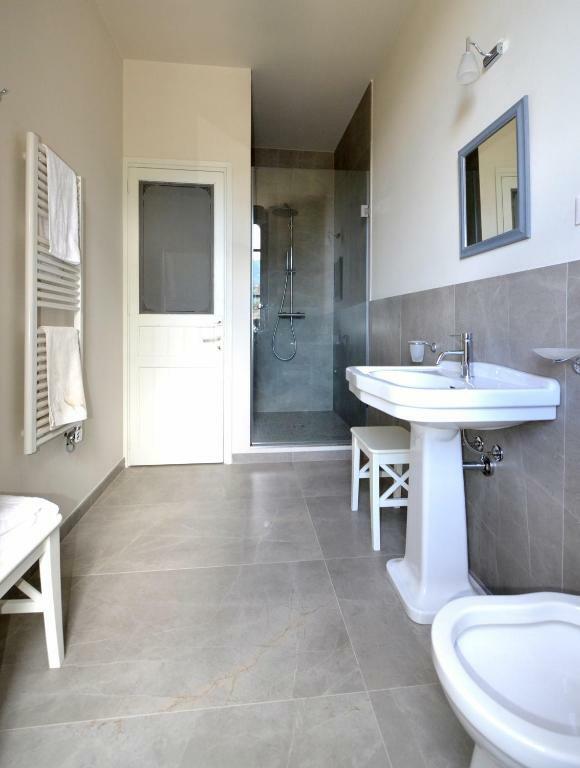 is "la Torretta", without kitchen, with fridge-bar, kettle and coffee machine. The "Le Scale" apartment of 90 square meters. 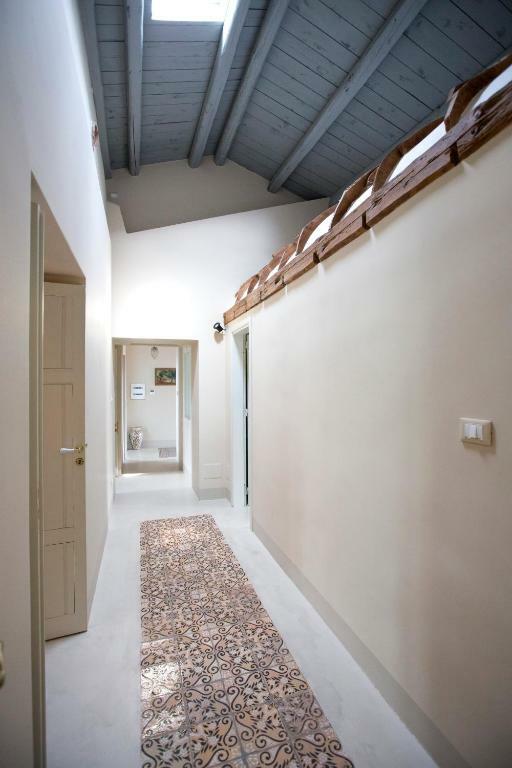 it is obtained from the old warehouse of the agricultural stairs of the fund; has a living room with kitchenette, two bedrooms and a bathroom. The village has a court plant on which overlook the Villa, the Chapel and the apartments for rural tourism. The fund is equipped with a large swimming pool available to guests. You can also take advantage of the rich breakfast in the guesthouse of the Villa. The apartment of the Villa that I intend to share is the historical "vacation home" of my family. There are all the memories of my holidays. Now that I have succeeded in realizing a restructuring of a certain value, inserting modern elements in the context of the late nineteenth century, while preserving its "flavor", I like to be able to share it. 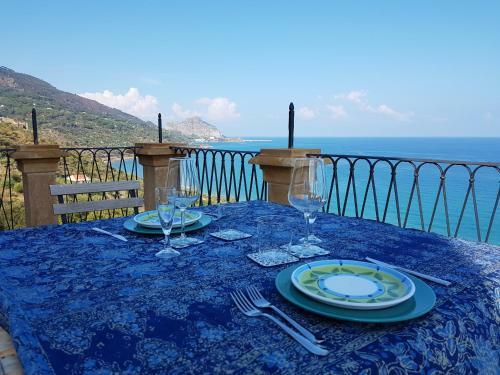 The Villa is just a few minutes drive from Cefalu, with its magnificent Norman Cathedral; a half hour drive from Castelbuono, a wonderful little medieval town with the "Castello dei Ventimiglia" and its gastronomic refinements; close to the paths of the Madonie Park. House rules Villa Palamara 1868-La Villa takes special requests - add in the next step! A damage deposit of EUR200 is required upon arrival, which is about GBP173.23. This deposit is fully refundable during check-out as long as there has been no damage to the property. A damage deposit of EUR 200 is required on arrival. That's about 173.23GBP. This will be collected as a cash payment. You should be reimbursed on check-out. Your deposit will be refunded in full in cash, subject to an inspection of the property. No breakfast and restaurant available. The pool wasn’t ready and filled up, even if it said so in the description. You are completely dependent on having a car at this place. You can’t walk from the hotel to the beach or to Cefalù or restaurants. That was disappointing. Not made clear when booking, Isolated location so no local facilities, catering is sub contracted to Antonio and dinner not always available. Had to walk up a VERY steep dirt track to access room verging on it being dangerous when walking down. We ended up having to drive up and car only just made it in 1st gear. Room not serviced throughout stay. Room fridge only had water that wasn't replaced. The Wifi connection was a little unstable, but didn't bother us much, since you can just sit on the terrace, watch the ocean and forget about the rest of the world. We remained speechless after entering the property. We generously got upgraded and got the very spacious apartment with the most beautiful terrace with a splendid view over the ocean. The kitchen is also very well equipped and spacoius. The hosts are very helpful and gave us a heartly welcome and were very helpful during our whole stay. We only booked for 3 nights and decided immediately to stay the whole week. A huge plus was also, that you could walk down to the beach in only 10 minutes or reach Cefalu in a few minutes drive. We were three friends having a perfect time there and would definetely recommend it to everybody.